Anesthesia can be scary for pet owners. 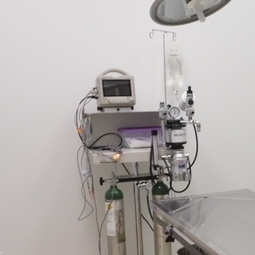 We employ advanced monitoring equipment while your pet is under anesthesia. We monitor heart rate, respiratory rate, blood pressure, oxygenation via pulse oximetry, temperature, and EKG. A trained assistant is monitoring you pet at all times and someone is with them at all times until they are able to stand. We place a tube in their trachea while they are asleep to guard their airway and they have fluids administered via an IV catheter.